2. ASP.NET re-creates the Page object using the .aspx file. 3. 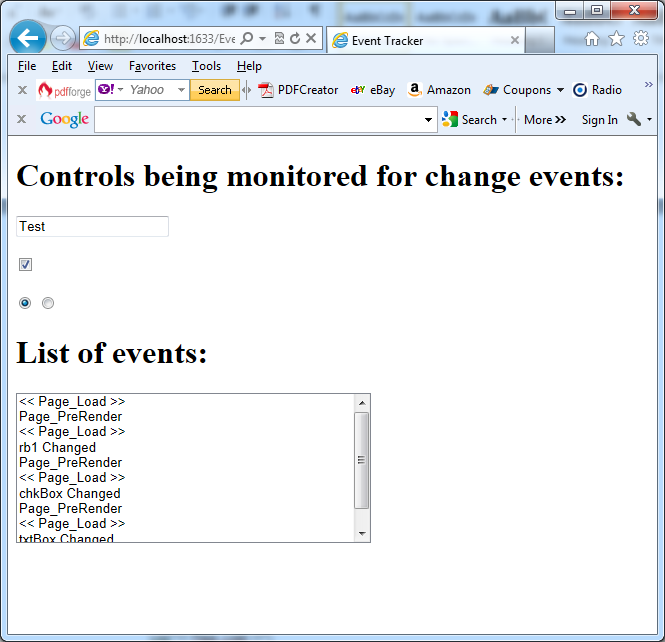 ASP.NET retrieves state information from the hidden view state field and updates the controls accordingly. 4. The Page.Load event is fired. 6. The Page.PreRender event fires, and the page is rendered (transformed from a set of objects to an HTML page). 7. Finally, the Page.Unload event is fired. 8. The new page is sent to the client. // to change the list. // Find the control ID of the sender. // This requires converting the Object type into a Control class.